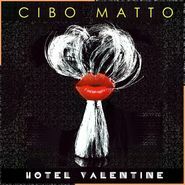 While Cibo Matto only released three records during their initial run as a working band, these three records have radiated outwards for the last 20 years, with influences both direct and osmotic appearing in the music of Gorillaz, M.I.A., the Beastie Boys and anyone else enacting groovy, global-minded, and often silly fun with samplers and sequencers. Yuka Honda and Miho Hatori's playful blend of trip-hop, jazzy and ethnographic musique-concrete and downtown standup bass gurgles was a sound that reverberated widely but was never done with the same elegantly measured abandon as CM were capable of. Now, the duo has returned after 14 years of Other Projects to reunite under the Cibo Matto banner for a logical continuation of their original project. Still laced with an incredibly deep reserve of left-field samples and a junkyard hip-hop/stoned-dancefloor gait, the Cibo Matto of 2014 makes records about haunted hotels and the weird dancing girls that populate them. The Cibo Matto of 2014 manages to sound exactly like the Cibo Matto of 1996, which, in light of recent time-machining trends in music, manages to still sound like Cibo Matter in 2014. Hotel Valentine is neither a retreading nor a drastic leap forward as much as it feels like a continuation of the band's long-term musical project, executed within the zeitgeist of 2014's musical and technological late-capitalist miasma. It's an odd progression for a band that seemed so rooted in '90s sampledelia, but it works and the new record's playful electronic spookiness feels right at home with the bedroom trip-hop revivalists of our current epoch. Recommended.